We are full swing and having a great time with workshops over at the studio - and we would love for you to join us! Admittedly a few of our upcoming classes are already sold out - but we still have some space in these awesome classes! Click on any image below for more information or to register! On Saturday Feb 2nd we’re building and painting blanket ladders like these. I can’t even tell you how much I love these ladders - they look great literally everywhere! Blanket ladder - build and paint workshop. Sat Feb 2nd, 10am-2pm. Bottle opener - build and paint workshop. Wed Feb 20th, 6-8pm. On Wed Feb 27th we are learning how to paint cabinets using Fusion Mineral paint. Learn to paint your cabinets with Fusion! Wed Feb 27th, 5:30-8:30pm. On Saturday March 2nd we will be building and painting this awesome farmhouse entrance organizer! I just love this project for a front entrance, mudroom, laundry room or even kids rooms! 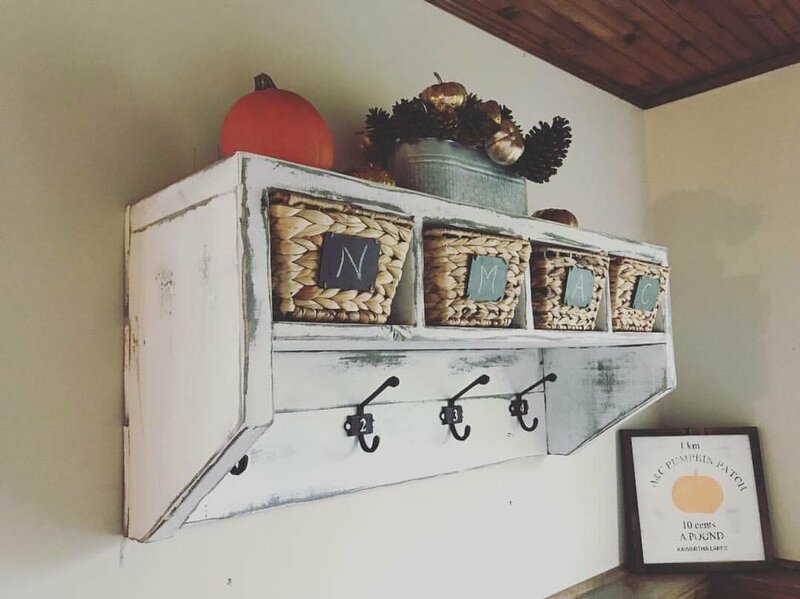 Farmhouse entrance organizer - build and paint! Sat March 2nd, 10-3pm. We have just one single space left in our ‘love’ or ‘home’ string art workshop on Saturday March 9th. This workshop is filling up super fast! ‘Love’ or ‘Home’ string art workshop. Sat March 9th, 10am-1pm. Saturday March 23rd we have another string art workshop for a cute ‘bunny’ design - just in time for Easter! String art ‘bunny’ design. Saturday March 23rd, 10-12:30pm. 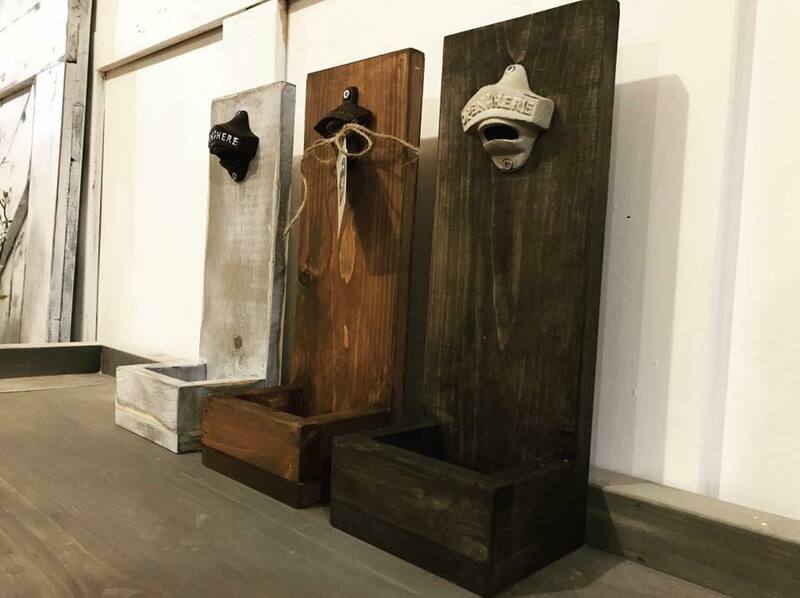 Wall sconces - build and paint workshop! Wednesday March 27th, 6-8pm. There you have it my friends - so many great workshops to choose from! We 100% guarantee a fun and inspiring class - no prior skills necessary!